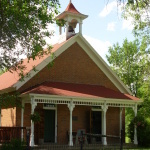 Based out of Stillwater, “The Birthplace of Minnesota”, the Washington County Historical Society collects, preserves, and disseminates the history of Washington County and its communities. Join us on our journey through the Gateway to Minnesota History! The Washington County Historical Society is offering internships for post-secondary education. The internship program is designed to introduce students to the workings of a regional history museum and the interpretive educational process. The internship provides a rare opportunity to directly apply academic skills and training in a unique working environment, as well as provide exposure to a career as a history museum professional. The intern should have good English skills, communication skills, be reliable and able to work both as a team member and independently. S/he should have creativity, pay attention to detail, present him/herself well, and enjoy working with the public. General history knowledge and museum work a plus. The internship is a mixture of training and hands-on experience. The intern will be invited to learn about day-to-day operations of a small history museum, including lectures, research facilities, exhibit display and design, collections care and preservation of artifacts. The intern will assist staff in researching and developing an interpretive guided tour for visitors. Opportunities will be offered to attend to board meetings, participate in fundraising activities, assist with Society sponsored events and contribute to the quarterly newsletter. The internships are open to all undergraduate college students majoring in the history field or like major. Please send application letter, resume, and references by May 1, 2019 to: Washington County Historical Society c/o Internship Committee, P.O. Box 167 Stillwater, MN 55082 or via email at: Information@wchsmn.org. For more information call 651-439-5956. 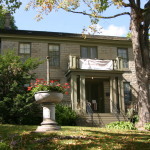 The Warden’s House Museum in Stillwater is available for group tours contact Gibson Stanton, Site Manager at gibson@wchsmn.org or 651.439.5956 to schedule. This book recently won a Minnesota History Award for publications!! Originally published in 1915, “Thru the Mill” was written by inmate number “4342”, George Bartlett, who served ten months in the old Stillwater Prison. This book is his account of life behind the stone walls of Minnesota’s most infamous prison. Want to help support your local history? Here’s your chance! The Washington County Historical Society is the only county historical society in Minnesota that receives no annual assistance from their county. We are 100% reliant on your generosity. Thank you for helping us save our shared stories and history! Please call ahead or email to confirm research center availability. May – October: Thursdays – Sundays 1:00-5:00 PM.